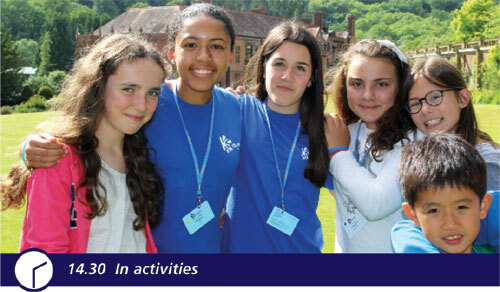 Our English Student Hosts are the same age as you and come from all over the UK. They are carefully selected for their friendliness, confidence and interest in making new friends from all around the world. They are boys and girls who normally join our programmes for 2 weeks. They wear blue T shirts so that they are easily recognizable. They share everything that goes on in busy summer school life. They will listen to you and help you practise your English. When you first arrive at the centre, it's likely our English Student Hosts will be there to warmly welcome you and to show you around. If you have any questions, they're there to help you. If you don't understand something, they'll explain it to you. They will help you practise your English. In some classes you may be working on a project in small groups, in others you may be working in pairs. English student hosts help you improve your pronunciation and intonation and your listening skills. If you are taking the Trinity exam, they will help you prepare for it. 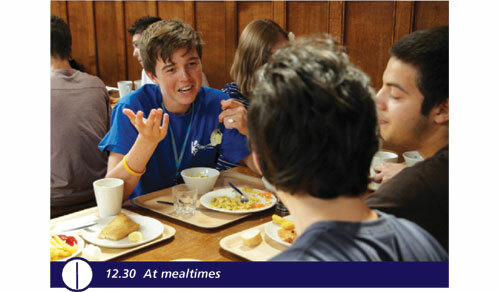 English Student Hosts will be with you at mealtimes so you'll be practising English with native speakers all day long helping you to use colloquial language with confidence. 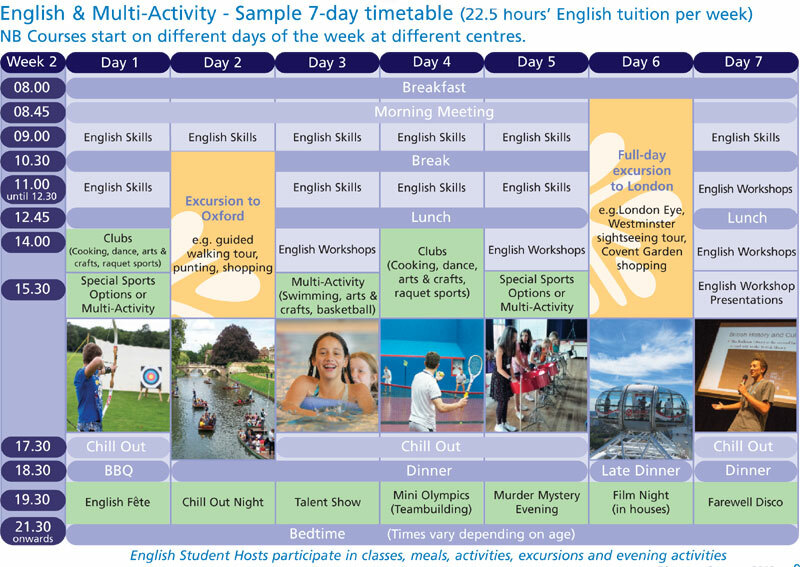 Our English Student Hosts participate in all the activities with you. They may be in your team to help you win in our exciting evening activities! Our English Student Hosts join you on excursions, helping you understand more about British history and culture, local know how, when you are shopping, where the best places are to buy things. They sleep in the same accommodation as you so you may be sharing a room with a new English friend. Your only common language will be English! After a busy day there is often free time in houses where you all relax together and chat about your day. Many of our students make friends with Student Hosts that last long after you leave the centre. They stay in touch through social media and sometimes visit one another. Who knows, your new English friends may even visit you in your country one day!